Eating, laughing and loving - it’s what get-togethers are all about! 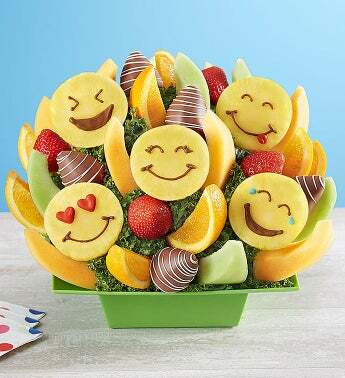 And our cheerful fruit bouquet is just bursting with delicious happiness and love. 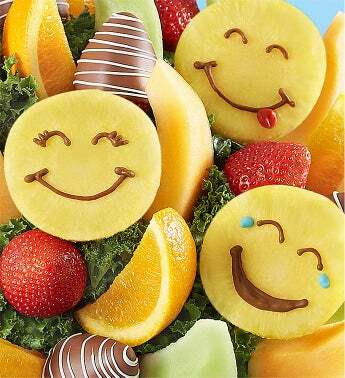 Juicy pineapple slices hand-decorated to look like smiley face emoticons arranged with decadent dipped strawberries and a mix of fresh fruit. Share this yum-filled treat for happy faces all around!